Most of Mill Valley lies west of Highway 101, between the highway and Mount Tamalpais. This is the original village, built in the valleys and hillsides that cascade down from Mount Tamalpais. East of the freeway, Mill Valley shares the Strawberry Peninsula and Richardson Bay with Tiburon, Belvedere, and Sausalito. To navigate Mill Valley, it is useful to know a few major streets. Miller Ave. and East Blithedale Ave. run parallel and take you from Highway 101 to downtown Mill Valley. Connecting these two streets is Camino Alto at the east end and Throckmorton Ave at the west (downtown) end. Shoreline Highway (Us Hwy 1) at the south end of Mill Valley provides access to Tamalpais Valley, the coastal villages on Muir Beach and Stinson Beach, and Miller Ave.
East Blithdale/Tiburon Blvd exit to the north takes you west to downtown or east to Strawberry and the Town of Tiburon. Lytton Square, at the junction of Miller, East Blithedale, and Throckmorton Avenues, marks downtown Mill Valley. This is the primary shopping area with a central plaza, restaurants, a movie theater, shops of every kind, and the Town Hall. A “walk-to-downtown” is a is a highly prized for those wanting to live in Mill Valley. On warm evenings, residents take advantage of this easy access to downtown. To the west of downtown and Lytton Square are the Blithedale and Cascade Canyon neighborhoods separated by the Middle Ridge. Mt. Tamalpais looms over the canyons at 2,600 feet. These neighborhoods have many early 20th century summer cottages updated to charming and elegant homes, plus stylish newer homes built in wooded settings. Some hillsides homes have spectacular views of Mt. Tamalpais and the San Francisco skyline. East of the town square, between Miller and East Blithdale Avenues, are the level and highly sought-after Sycamore and Tamalpais Park neighborhoods, with a wide variety of homes from stately Victorians to post-WWII cottages. Remodeling and rebuilding in this neighborhood has produced some of the most expensive homes in Mill Valley. For more information and a photo tour, see our Sycamore Park page. The Almonte and Homestead Valley neighborhoods are located on the south-west side of Miller Avenue and rise from level land to a low ridge separating Mill Valley from Tamalpais Valley. To the west, Homestead Valley meets the Golden Gate National Recreational Area. Here is a map of Homestead Valley featuring its many hiking trails. This neighborhood has many level streets and a wide variety of homes which have been upgraded in recent years. This neighborhood stretches along the north side of E. Blithedale Ave from Camino Alto to the downtown, climbing gently up the Blithedale Ridge. See a photo tour of this neighborhood and its many attractive features. The Alto neighborhood is comprised of a few level streets between Highway 101 and Camino Alto. To the north is Horse Hill and Scott Valley. This neighborhood has become extremely popular because of its rural feeling, large lots, and easy access to the highway. Newly constructed homes in this neighborhood have sold recently close to $4m. A small hill at the junction of Highway 101 and E. Blithedale Ave is home to a number of streets named for 19th century English poets (Keats, Longfellow, etc). Along these streets, you will find small single family homes built in the later 1950’s and 1960’s and attached condos from the 1970’s. At the top of the hill are six buildings containing one bedroom, one bath Shelter Ridge apartment-style condos (ca. 1979) that provide about 700 square feet of living space. On the east side of Shelter Ridge, bordering inlets from Richardson Bay and Highway 101, are the Eucalyptus Knoll (1980’s), Shelter Bay (ca. 1965), and Sunrise Pointe (ca. 1986) condos. These three communities provide a waterfront location, views of Mount Tamalpais, and easy access to Highway 101 and San Francisco. Eucalyptus Knoll has mostly two bedroom condos and town homes and a few one and three bedroom units, with about 1,200 to 2,300 square feet of living space. Shelter Bay condos occupy five multi-level buildings which extend over the water. Most condos have two bedrooms, with a smaller number of 1, 3, and 4 bedroom units in approximately 840 to 1,600 square feet. Two and three bedroom condos at Sunrise Point provide about 1,800 to 2,100 square feet. 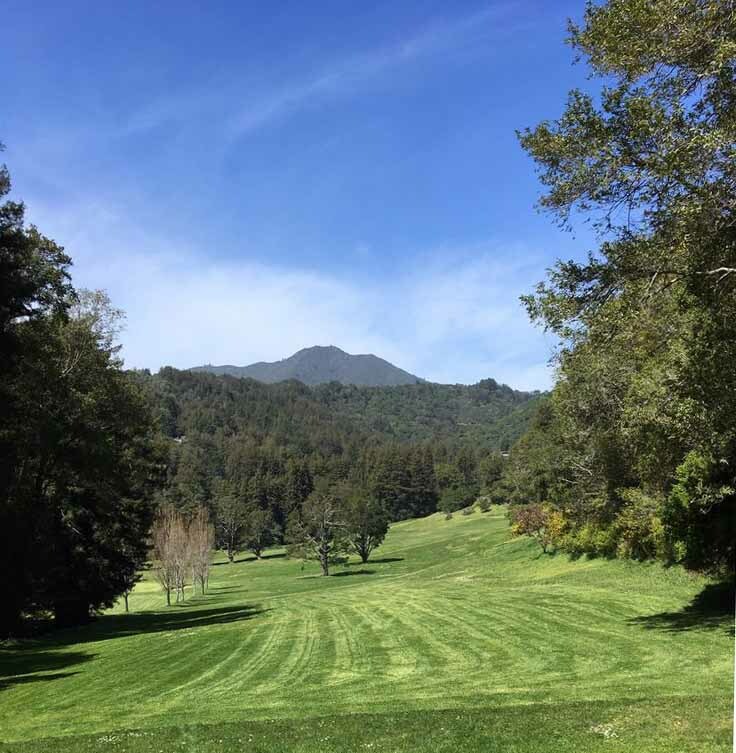 Scott Valley is quiet and highly desirable neighborhood in the north east corner of Mill Valley. It is located along Camino Alto as this road climbs the Corte Madera Ridge. Houses and lots tend to be large, and prices in 2018 for six houses sold were in the range of $999,000 to $5,175,000. For more information and photos, see our Scott Valley page. 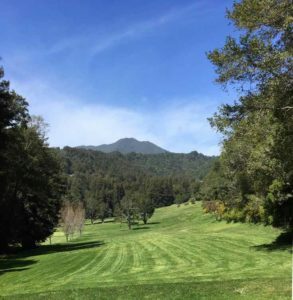 Warner Canyon, north of the Blithedale Ridge, is home to the scenic Mill Valley Golf Club and the private and very desirable Mill Valley Country Club neighborhood. The homes in these neighborhoods, built from the 1960’s on, are often on larger lots. Over a low ridge to the south-east of downtown, Tamalpais Valley extends along US Highway 1 toward the coast. This may be the best area of Mill Valley for commuting to San Francisco. See our page devoted to the attractive and rural Little City Farms area of Tamalpais Valley. The Strawberry Peninsula with Strawberry Manor and Harbor Point neighborhoods, extends into Richardson (San Francisco) Bay east of Highway 101. 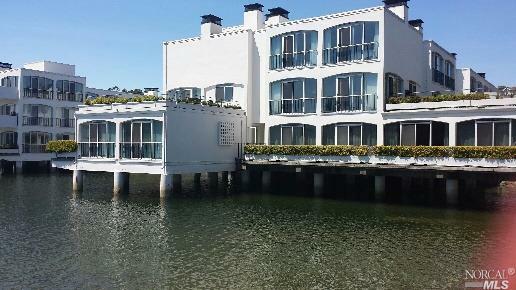 It comprises elegant, modern mansions on the Bay, large Eichler-built homes from the 1950’s, and California cottages. Find more information on our Strawberry page. An eight to 10 minute drive from downtown Mill Valley takes you to Panoramic Highway and a remarkable neighborhood on a ridge of Mt. Tamalpais. Some of these Mill Valley homes are hidden in redwood groves, with spectacular views of the Bay, ocean, or the peaks of Mt. Tamalpais. This a special get-away place, with the many hiking trails of Mount Tamalpais just out the door. About half of Mill Valley lies within the “incorporated” City of Mill Valley. This means that the homes and citizens in this area rely on the City for services, including Fire, Police, Planning and Building, Public Works, Recreation, and more. The other half of town, also known as Mill Valley, is unincorporated and relies on the County of Marin for its services. Unincorporated neighborhoods are Almonte, Alto, Homestead Valley, Tamalpais Valley, Strawberry Manor, Harbor Point, and Panoramic/Muir Park. The two sections of Mill Valley share the post office, with the ZIP code of 94941, and the Mill Valley School system.